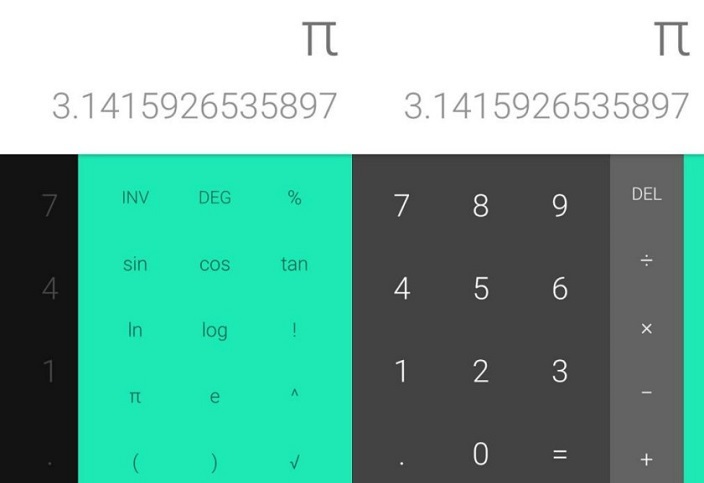 Google dropped a surprise in the hearts of Android users by introducing a new Calculator app by Google in the Play Store. There were no prior reports or rumors that Google is building calculator app and regarding the launch of this Google mobile app. If you aren’t satisfied with the stocks Calculator app in your Smartphone, you can go ahead and install this app as it is more than just a simple Calculator and can be used as Business calculator app. The app is integrated with all the mathematical functions from the simple ones such as the Addition, Subtraction, Division and Multiplication to the advanced ones such as the sine, cosine etc. So, depending on the requirement, you can turn this Calculator into either simple or scientific in order to perform the desired Calculation and can be used as the best financial calculator app. Calculator by Google also supports integration in Android Wear which will allow you to perform the Calculations on the go and prove itself as one of the most useful Google apps for Android. You can download the app from Google Play Store or Hit Google Play Download button below to download the app to your Smartphone. Let us know your views on the Calculator app by Google in the comments section below. We would like to hear from you. Top Android apps that use your Smartphone for Scientific Projects. The latest feature in Apple Music for Android is not available for iOS.